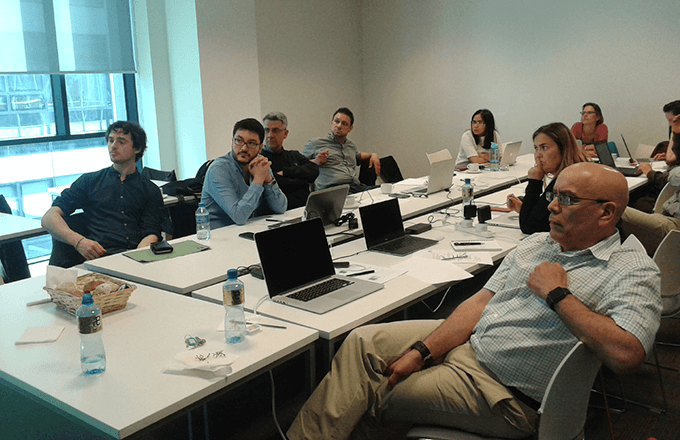 The first BigO technical meeting took place at the Insight Center in Dublin, on June 8th and 9th 2017, hosted by UCD. Technical partners and representatives from the pilot sites and the BigO community took decisions on the functionality of the BigO data collection system and the role of the users. Moreover the system architecture was finalized and a development plan for the preliminary release V0 in the fall of 2017 was agreed. V0 will be tested during a pre-pilot at the International English School in Stockholm.